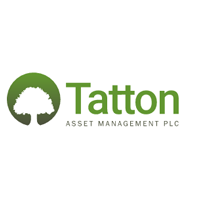 The stock price for Tatton Asset Management PLC with EPIC code: LON:TAM has moved up 5.66% or 12.11 points throughout today’s trading session so far. Buyers have remained positive throughout the session. The periods high has already touched 226.11 while the low for the session was 220. The total volume of shares traded by this point was 10,958 while the average shares exchanged is 30,848. The stock 52 week high is 294 which is 80 points difference from the previous days close and putting the 52 week low at 188 making a difference of 26 points. Tatton Asset Management PLC now has a 20 simple moving average of 204.79 and a 50 day moving average now of 203.83. The market capitalisation is now £126.41m at the time of this report. The currency for this stock is Great British pence.Market cap is measured in GBP. This article was written with the last trade for Tatton Asset Management PLC being recorded at Monday, April 1, 2019 at 10:19:28 AM GMT with the stock price trading at 226.11 GBX. The stock price for Reckitt Benckiser Group Plc found using EPIC: LON:RB has risen 1.1% or 70 points in today’s trading session so far. Traders have so far held a positive outlook during the session. The periods high has reached 6453 while the low for the session was 6393. The total volume of shares traded by this point was 247,804 with the daily average traded share volume around 1,669,835. A 52 week share price high is 7174 some 792 points different to the previous business close and a 52 week low sitting at 5255 a difference of some 1127 points. Reckitt Benckiser Group Plc now has a 20 SMA at 6293.95 and now the 50 day moving average now of 6098.86. The current market cap is £45,657.09m at the time of this report. The currency for this stock is Great British pence.Market cap is measured in GBP. This article was written with the last trade for Reckitt Benckiser Group Plc being recorded at Monday, April 1, 2019 at 12:05:44 PM GMT with the stock price trading at 6452 GBX. Shares in Rio Tinto plc company symbol: LON:RIO has stepped up 2.86% or 127.5 points throughout the session so far. Buyers have stayed positive during this period. The period high was 4591 meanwhile the session low reached 4532.5. Volume total for shares traded at this point reached 1,323,632 while the average shares exchanged is 4,040,451. The stock 52 week high is 4591 which is 130 points in difference on the previous days close and a 52 week low being 3460 which is a variance of 1001 points. Rio Tinto plc has a 20 SMA of 4302.48 and now the 50 day MA at 4279.84. This puts the market capitalisation now at £58,040.94m at the time of this report. The currency for this stock is Great British pence.Market cap is measured in GBP. This article was written with the last trade for Rio Tinto plc being recorded at Monday, April 1, 2019 at 12:06:07 PM GMT with the stock price trading at 4588.5 GBX. Shares of Rolls-Royce Holding PLC with company EPIC: LON:RR has stepped up 1.06% or 9.6 points throughout the session so far. Buyers have stayed positive while the stock has been in play. Range high for the period so far is 916.2 and hitting a low of 907.6. The total volume of shares traded by this point was 1,040,682 while the average shares exchanged is 5,228,999. The 52 week high price for the shares is 1104.5 around 201.3 points difference from the previous days close and the 52 week low at 9.88 which is a variance of 893.32 points. Rolls-Royce Holding PLC now has a 20 moving average of 908.74 and also a 50 day moving average of 923.73. The market capitalisation currently stands at £17,384.25m at the time of this report. The stock is traded in GBX. Mcap is measured in GBP. This article was written with the last trade for Rolls-Royce Holding PLC being recorded at Monday, April 1, 2019 at 12:05:34 PM GMT with the stock price trading at 912.8 GBX. Stock in Royal Mail PLC with company EPIC: LON:RMG has moved up 1.76% or 4.2 points in today’s trading session so far. Market buyers have remained positive during the trading session. Range high for the period has seen 246.3 meanwhile the session low reached 241.2. The volume total for shares traded up to this point was 1,397,710 with the daily average traded share volume around 6,023,112. The 52 week high for the share price is 632.6 amounting to 394.3 points difference from the previous days close and the 52 week low at 232.4 a difference of some 5.90points. Royal Mail PLC has a 20 SMA of 258.46 and also a 50 day MA at 275.13. The current market cap is £2,425.00m at the time of this report. The currency for this stock is GBX. Market cap is measured in GBP. This article was written with the last trade for Royal Mail PLC being recorded at Monday, April 1, 2019 at 12:05:53 PM GMT with the stock price trading at 242.5 GBX. The stock price for Smiths Group plc ticker code: LON:SMIN has stepped up 1.53% or 22 points during today’s session so far. Market buyers are a positive bunch during the session. The periods high has already touched 1460 dropping as low as 1437.5. The number of shares traded by this point in time totalled 727,720 whilst the average number of shares exchanged is 897,183. A 52 week high for the stock is 1810.17 equating to 375.17 points difference from the previous days close and putting the 52 week low at 1256.74 which is a difference of 178.26 points. Smiths Group plc now has a 20 moving average of 1443 with a 50 day moving average at 1460.22. The current market capitalisation is £5,768.91m at the time of this report. The currency for this stock is GBX. Market cap is measured in GBP. This article was written with the last trade for Smiths Group plc being recorded at Monday, April 1, 2019 at 12:05:29 PM GMT with the stock price trading at 1457 GBX. Click RB RIO RMG RR SMIN TAM for the full archive.